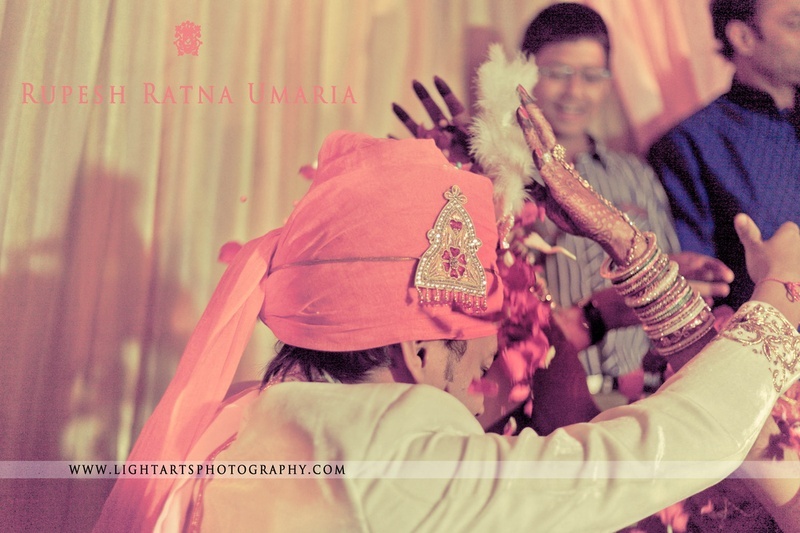 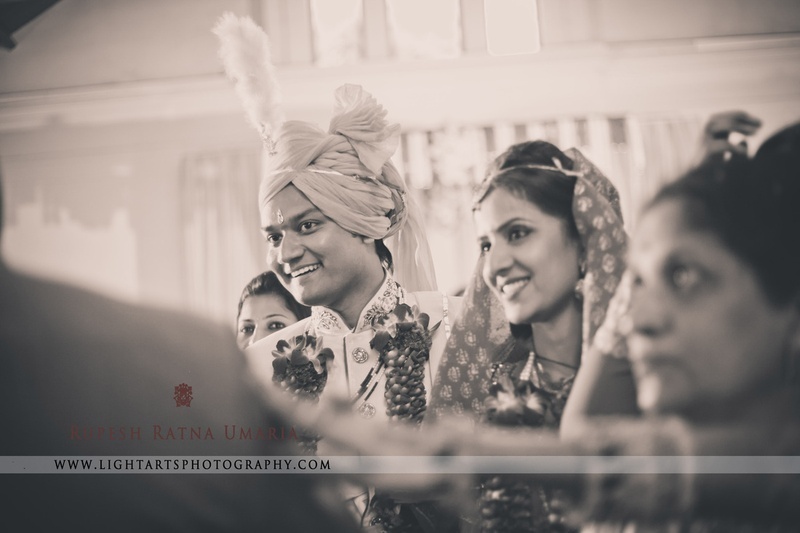 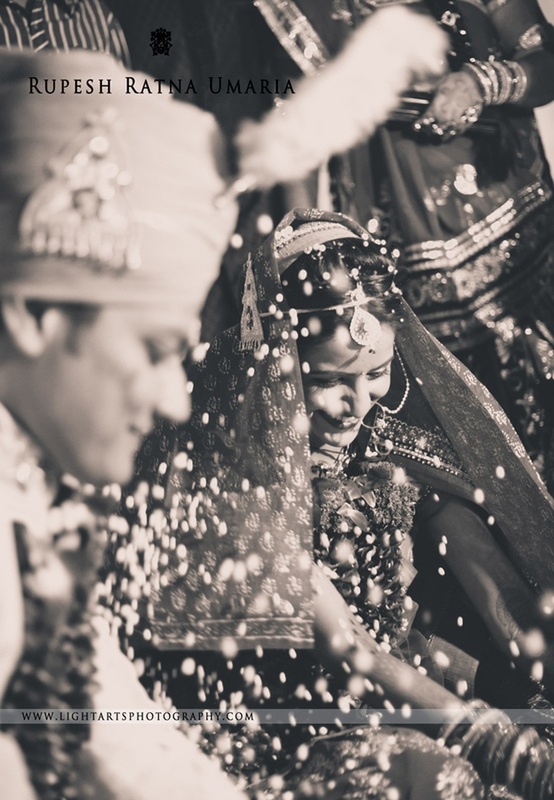 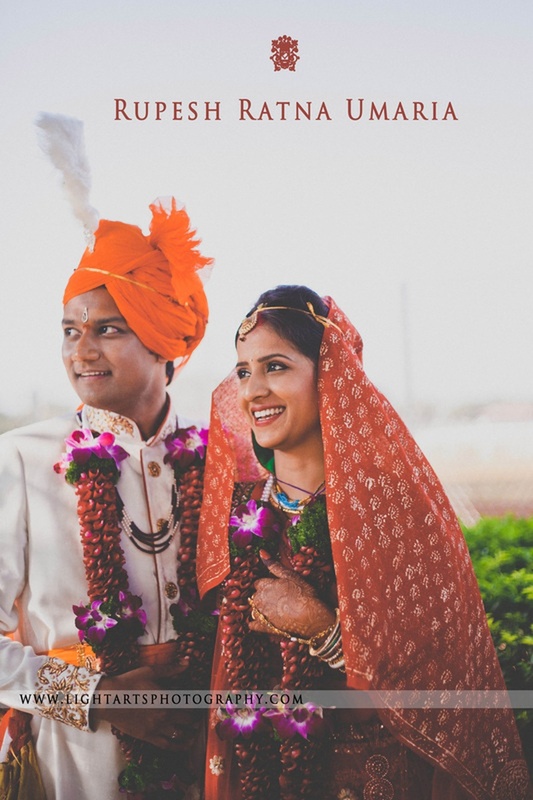 Any Gujrati wedding is full of high energy, colourful outfits and meaningful traditions – and Lavanya and Punit’s wedding celebrations was all this and beyond! 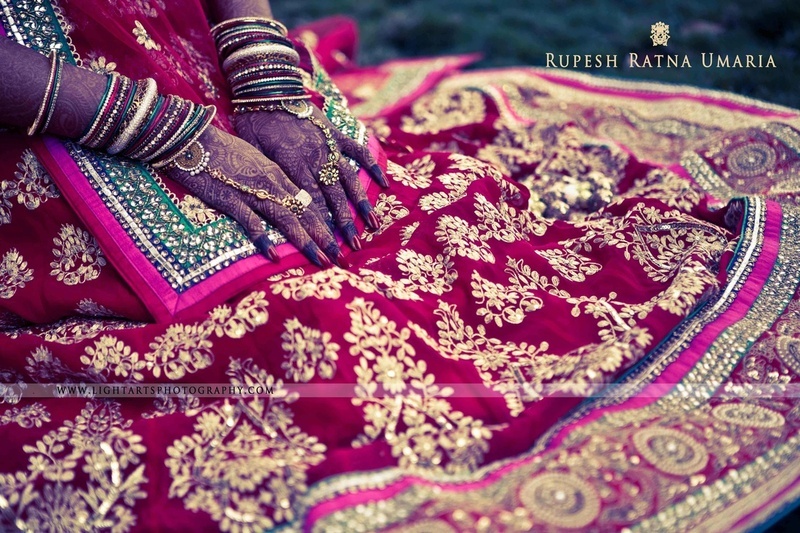 A beautiful bride dressed in an intricately-embroidered red and gold bridal lehenga and minimal traditional gold jewellery. 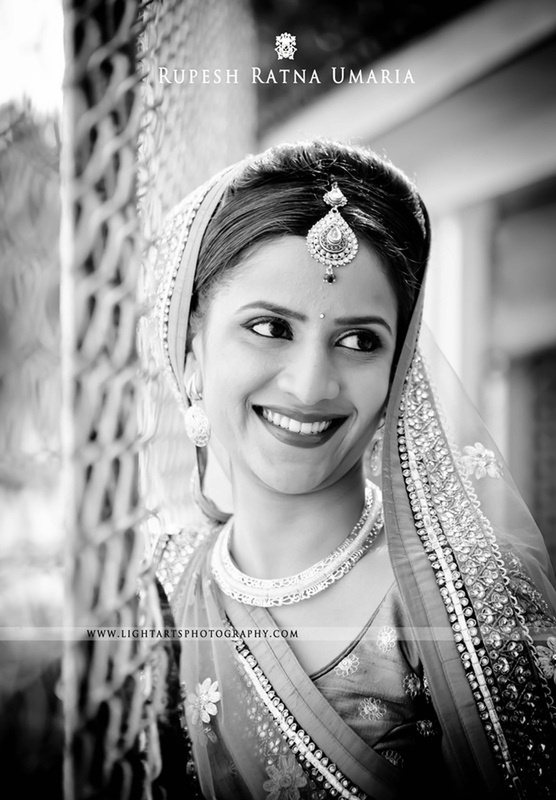 She opted to wear a hasli cutwork necklace with a dainty maangtikka and matching earrings. 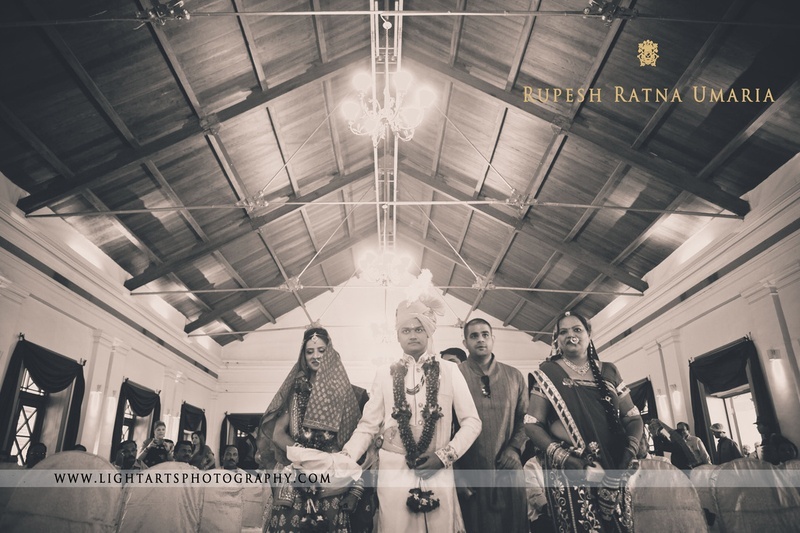 Her handsome groom went traditional all the way in his off-white sherwani that had stunning embroidered motifs along the border. 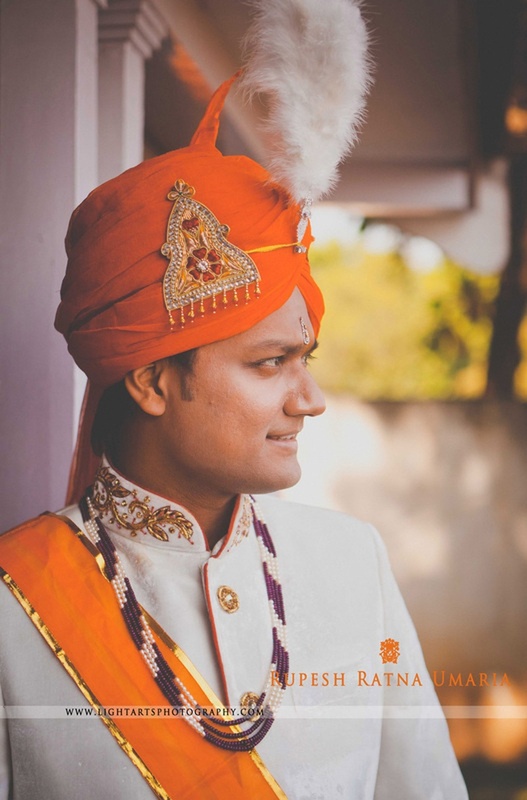 His kesari orange kamarrbandh and safa had him looking like true royalty! 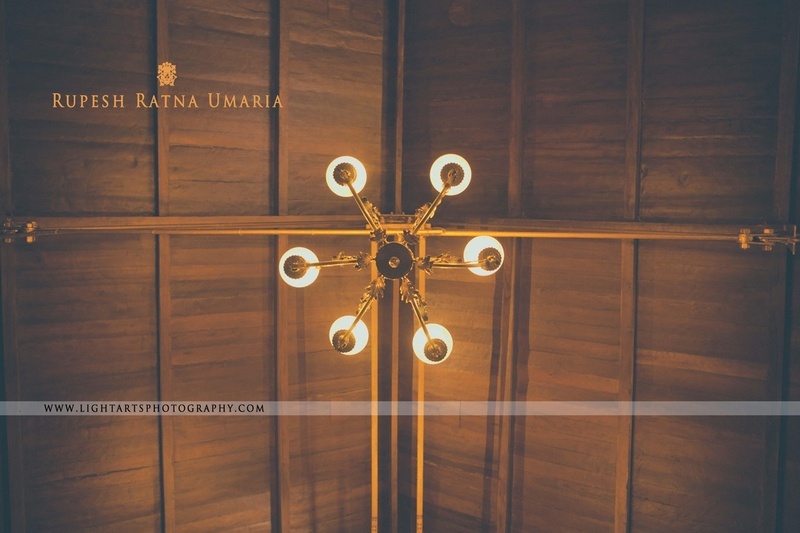 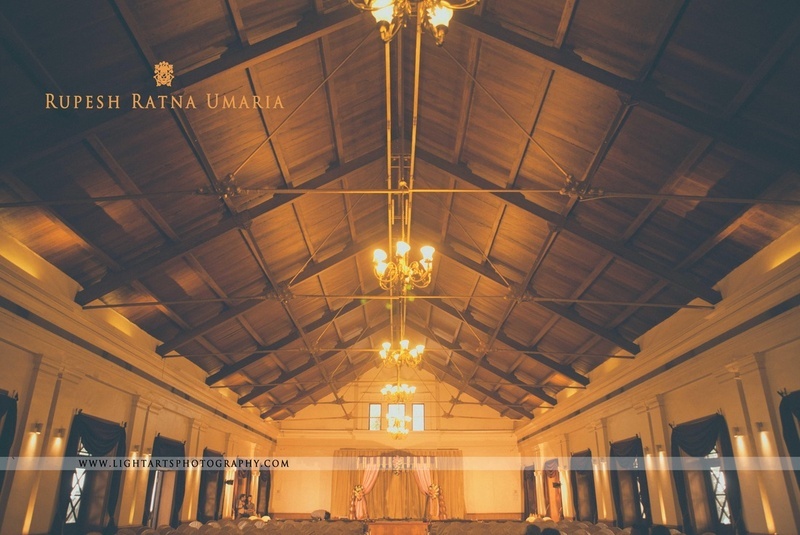 Their wedding was held in a rustic space with wooden roof, which was strung with yellow lit chandeliers and decorated with an abundance of marigold flowers. 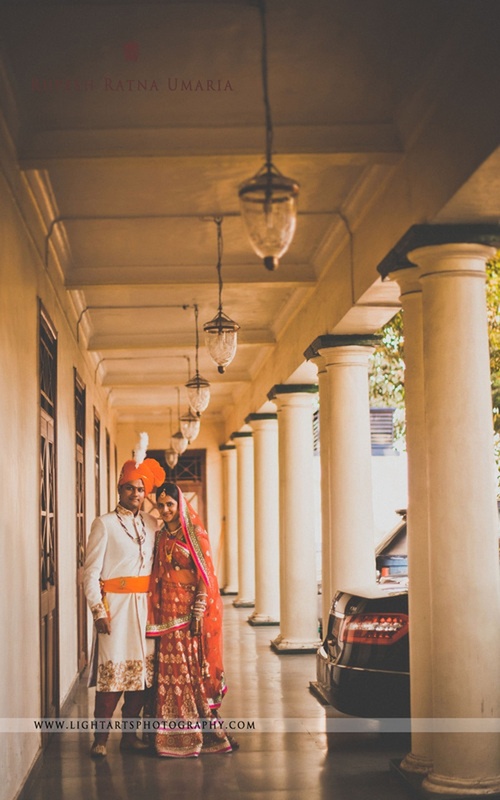 This beautiful couple held hands and took their Saat Pheras around the holy fire of the Havan Kund to signify a vow to love and cherish each other for generations to come. 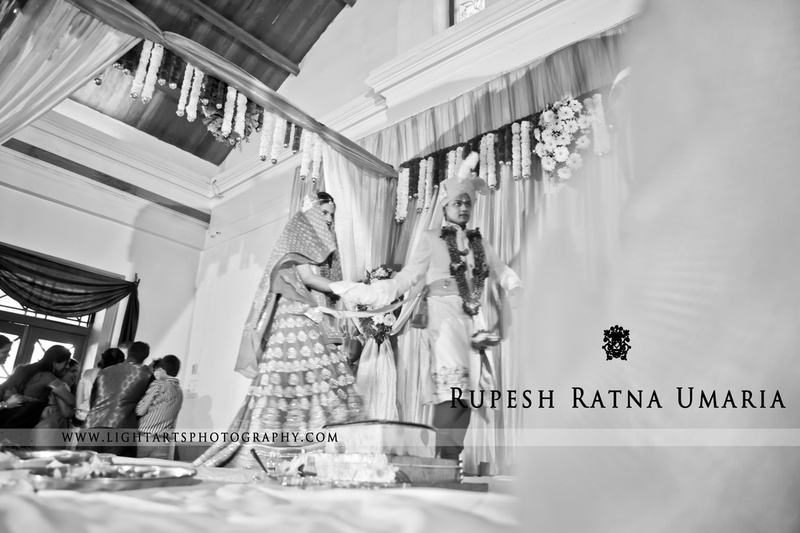 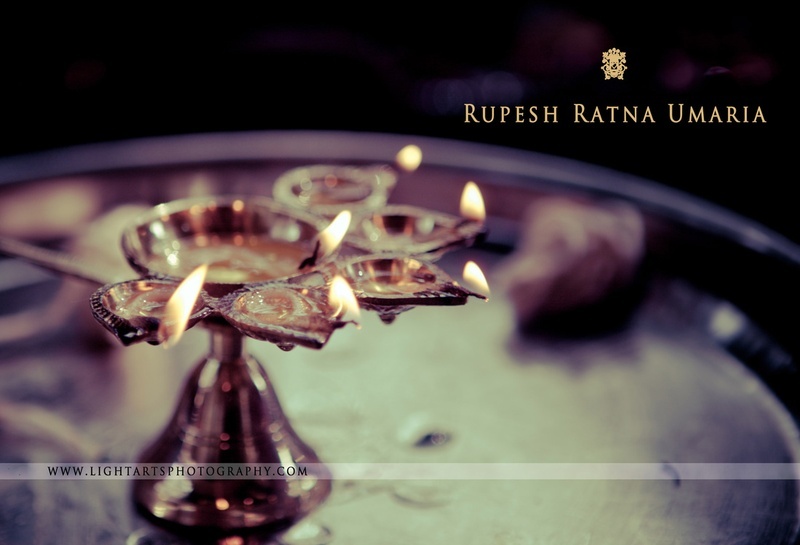 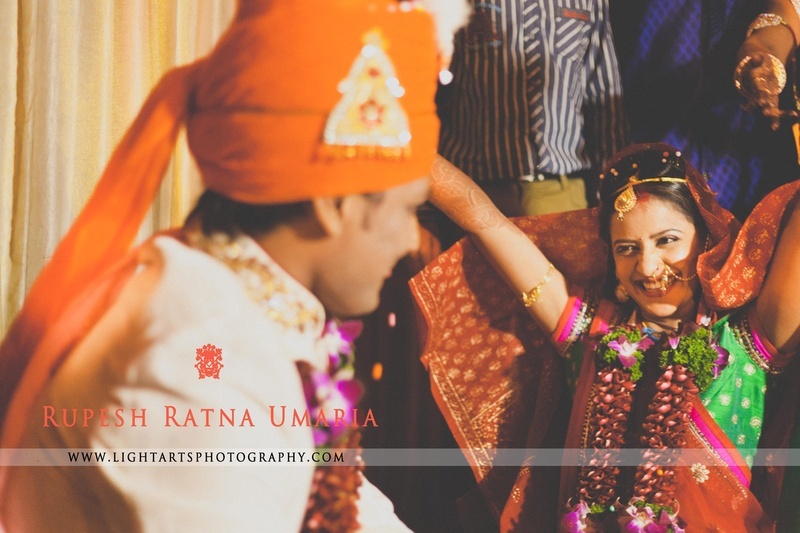 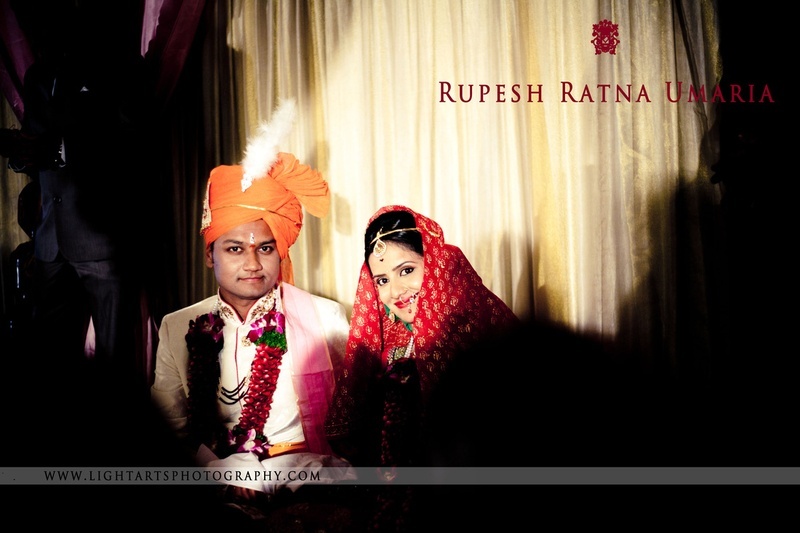 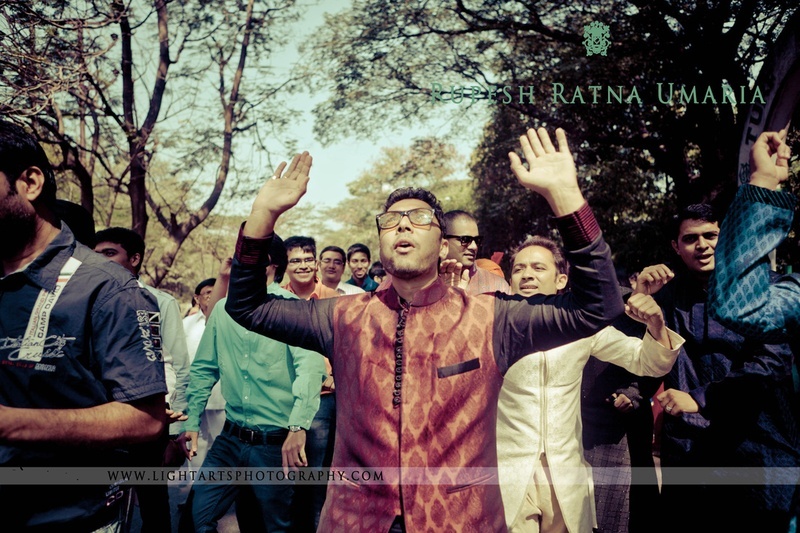 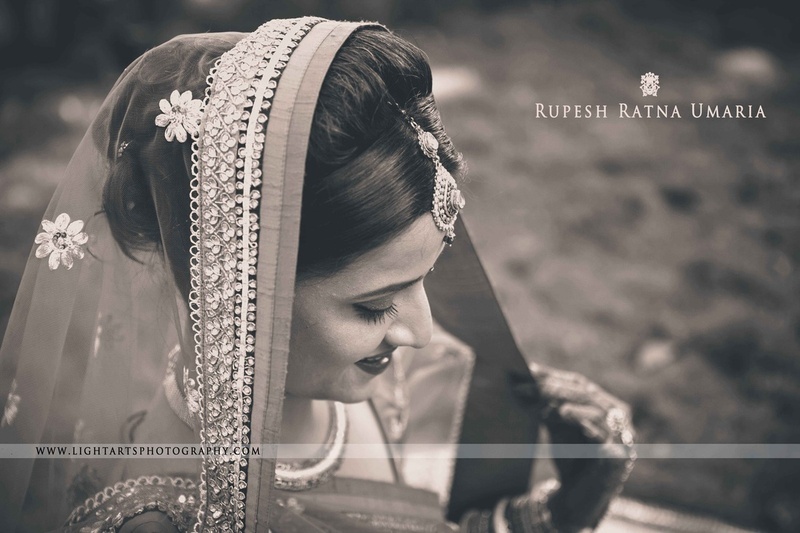 Rupesh Ratna Umaria from Light Arts Photography captured every image from Lavanya and Punit’s wedding celebration just perfectly.